This weekend we battled the heat wave that hit Portland and took to the streets. Almost everything we found was a project piece but they are all projects that we are glad to take on. Here is what we found. For a while Heather has been looking for a Plycraft Mr. Chair by George Mulhauser. We finally found one. It should be done in a couple weeks. 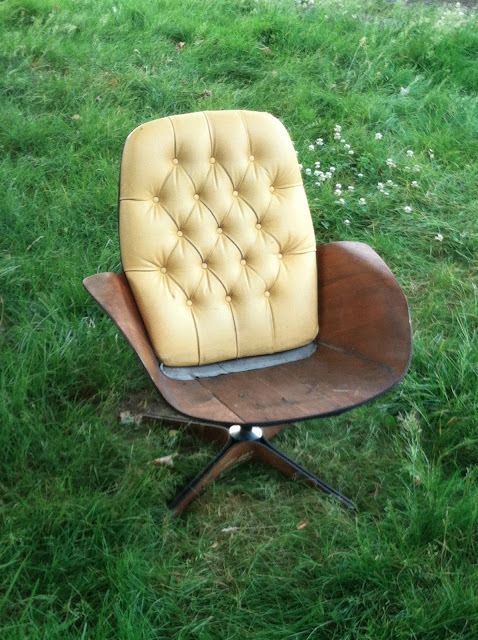 I was very surprised to find this Adrian Pearsall chair and sofa. The original fabric is crazy. They will be reupholstered shortly. 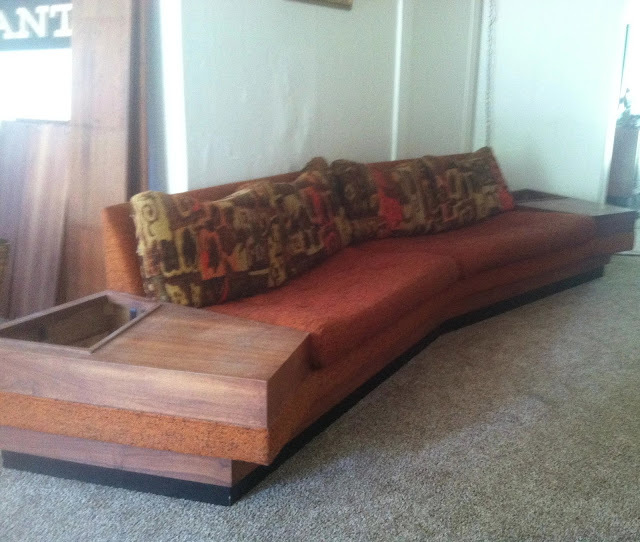 We will most likely keep this sofa after we reupholster it. We have been looking for one and we actually have space for this huge 12' sofa. 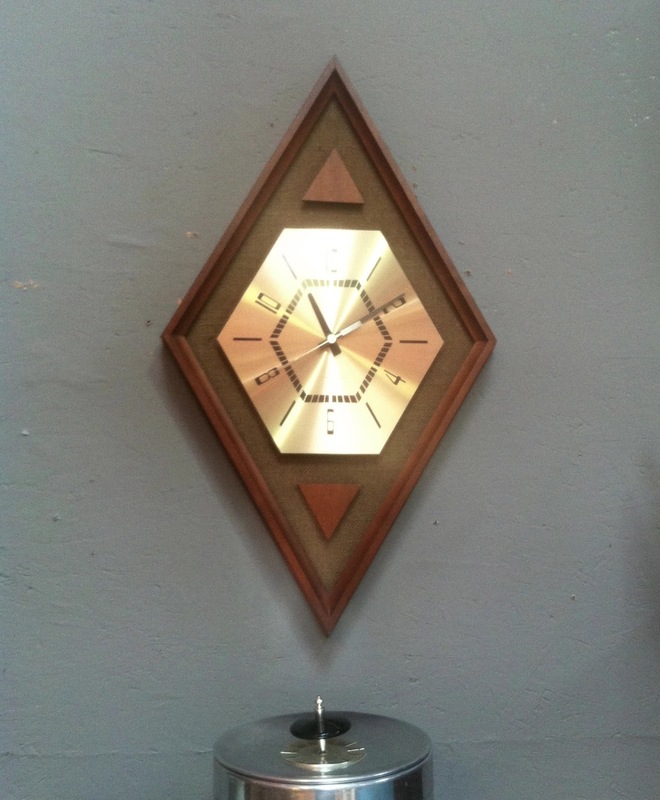 Beautiful brass and walnut wall clock by Westclox. Now available at Hawthorne Vintage. More PBR is consumed in Portland than any other city in the US. I buy PBR pieces whenever I see them. SOLD at Hawthorne Vintage. My flea market find this weekend was this mid century ranch home model. It needs a little TLC but should be a fun project. Last but not least this Basset desk is from the same line as their surfboard coffee table. I had never one before. Has been refinished & SOLD. I can't wait to see what you do with that sofa, it's gorgeous! I'm excited to see how that chair turns out! And the model home, how cool is that?! Great finds! Hope it cools down for you guys soon. I really like how you fix up and re-do so many of your furniture pieces. I need to get going on some of these type of projects too! Can't wait to see the Pearsall set after it's done! That Pearsal is a fantastic find!